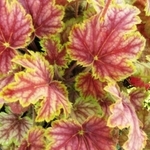 Heuchera 'Picasso'. It's back! 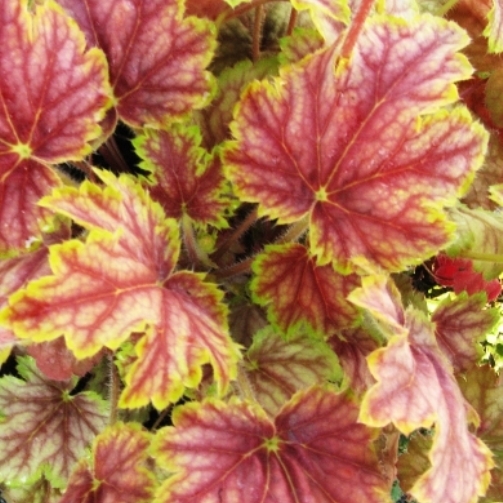 This European beauty forms a compact clump of very deep red veins on greenish yellow leaves. An instant splash of color for your shady garden. MASTER PAINTER™ SERIES. PPAF. 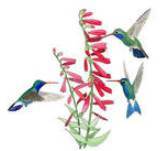 MATURE HEIGHT: Foliage 10-12". In bloom 16".